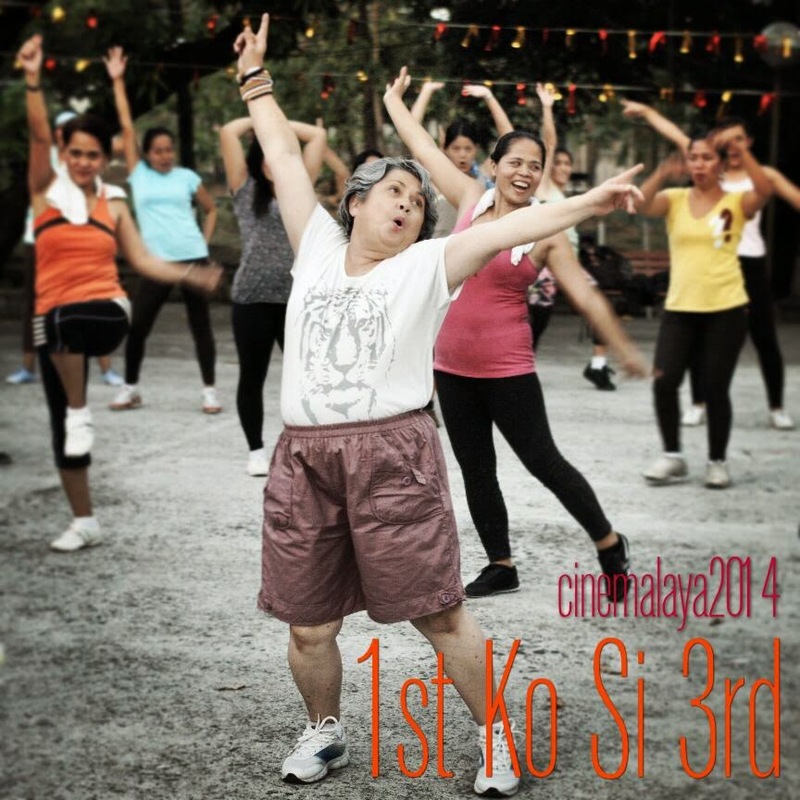 1st Ko si 3rd written & directed by Real Florido is an official entry to the 10th Cinemalaya Film Festival under the New Breed Category. This is a story of love in the time of retirement. The festival runs on August 1-10, 2014 at the Cultural Center of the Philippines. 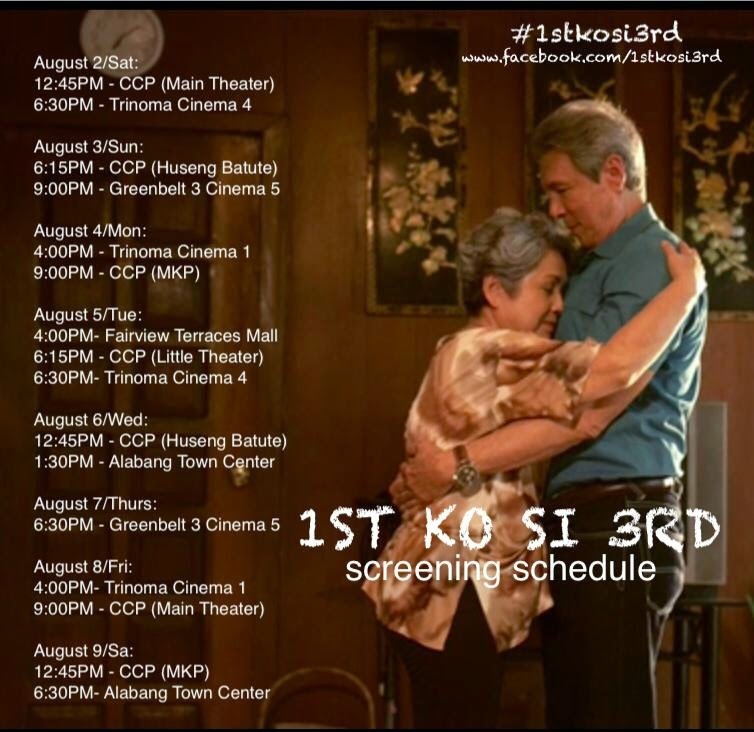 It will also be showing in 4 Ayala Malls, namely: Greenbelt 3 Makati, Alabang Town Center, TriNoma, and Fairview Terraces. Reality of things compels us to live life as it unfolds. We move with the times and work with what's on hand. This is often the way we create the story of our lives. There's a chance to leave a supposed love story behind to settle with the more obvious life offerings, forgetting what could have been and then one day after many years of work and family life, fate brings back a chance for the heart to open up a space for love again. 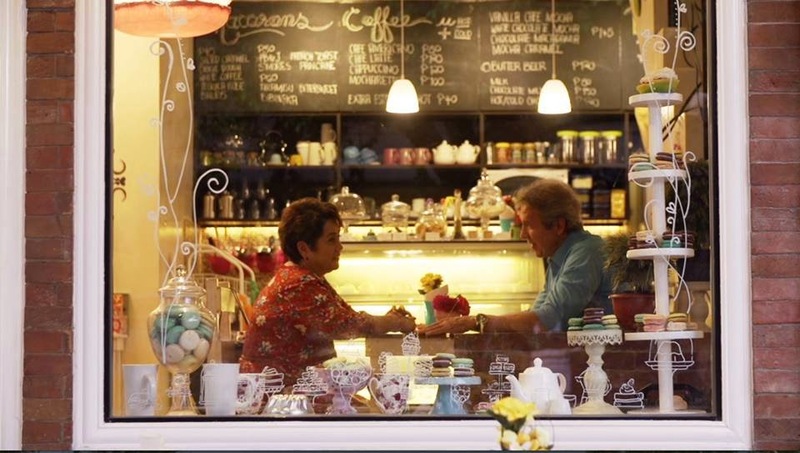 This is the story of a married retiree named Cory brought to life by Ms. Nova Villa and her love interest when she was still single, Third portrayed by Mr. Freddie Webb in 1st Ko si 3rd. "I would like to tell a story about an interrupted love," says Real Florido the film's writer and director. "Then play with the idea of giving it a chance when the characters are in the senior years." The film's excitement and complication come from the fact that Cory and Third are in their 60's and are married to different partners. 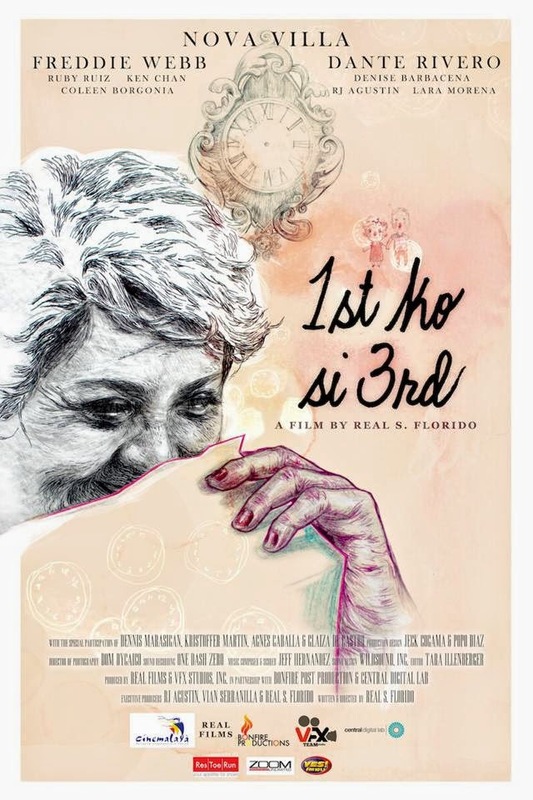 "This film also shows how a retiree would spend her 'free' days and look forward to the future after ending her decades of labor in the city treasury office," Florido added. Villa and Webb were well known in the 1980's to 90's as a comedic couple with strong following in various sitcoms like Chicks to Chicks, Chika-Chika Chicks, Mana, Mana-Mana, etc. Their chemistry doing funny skits on television had an impact in the households. At this day and age of multifaceted showbiz coupling, 1st Ko si 3rd is bringing back to the silver screen the wholesome tandem. This time providing both young and mature audiences with unadulterated family entertainment that gives an insight about life and love. Real Florido has been writing for one of the most competitive and prevailing television networks in the country where he has made and lead content for several entertainment shows. His background in video production started in college. He also did several collaborations on independent film making before he had an entry approved to the 2014 Cinemalaya Film Festival with 1st Ko si 3rd. "I want to advocate delivering content to audiences that that will make them think and realize some aspects of everyday living that are sometimes overlooked," Florido states. "My entry to this year's festival intends to do that and I look forward to being able to create more projects with compelling messages in the future," he concludes. On the first day of her retirement, 65-year-old Cory busies herself by cleaning her house until it was immaculate and spotless. Still, something does not feel right. She is not used to the silence and to spending every waking hour with just her husband, Alejandro. She wonders if this is all she is to do and can expect for the rest of her life, after spending a good deal of it working so hard. Alejandro notices the changes in Cory. Their fights seem to be a side-effect of Cory’s retirement. Now that she is no longer working, she feels useless as a person and worthless as a woman. Then unexpectedly, Cory bumps into Third, her first love. Third was the first man who made her fall in love deeply. He was her teenage dream. 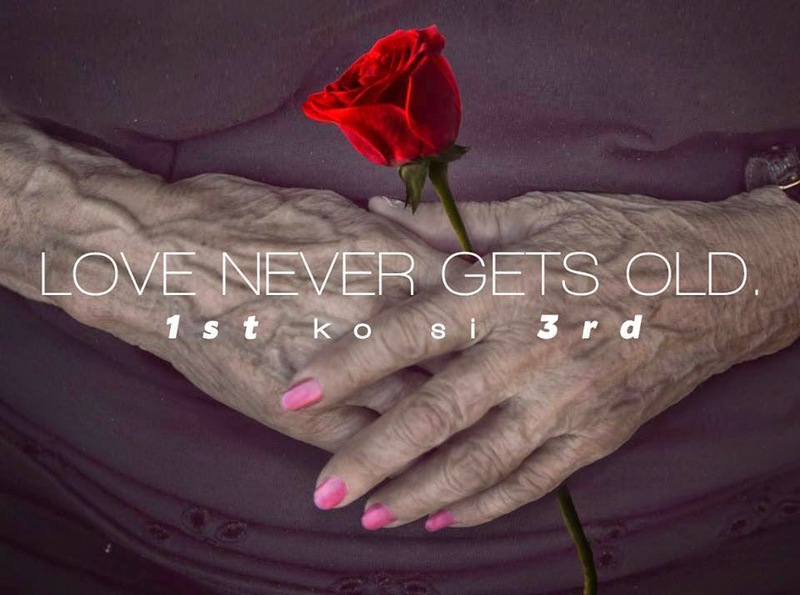 She cannot forget Third because their first date never happened.